Daf, the centre manager, is huddled in urgent conversation with a couple of volunteers about somebody’s case. Every available chair is taken; advice workers are giving one-to-one help, volunteers are zipping helpfully from room to room. In the narrow corridor, several prams are wedged up against the wall near the crèche. 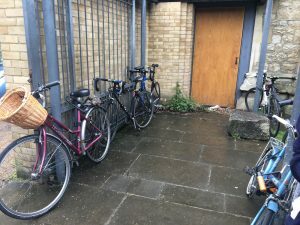 It is easy to see that Hackney Migrant Centre is facing profound demand for its services, and operating at maximum capacity. It takes about three seconds to feel the positive energy that is permeating the entire venture. I’m able to shadow Rayah, who is a volunteer (and Chair of Trustees too). Her job today is to greet clients, have an initial talk with them about why they have come, and work out what help they need. “I’m like a triage nurse”, she grins. The centre holds its drop-in every Wednesday. Anyone who is a migrant, refugee or asylum seeker needing immigration advice can come without an appointment. The centre can help 40 people in a day, and it is first-come, first-served. Like every advice service across London, in recent times it has struggled to meet the enormous demand. “Legal aid cuts”, says Rayah simply. These cuts have had devastating knock-on effects. In a private booth in a corner of the room, I observe as Rayah greets an African woman, Dee*, who has been living in London for many years. Her three young children are currently staying “with a friend” in a distant borough of London. Dee doesn’t have a roof over her head, or access to benefits. Right now, she says, she has £10. She is also battling severe depression. Rayah decides that Dee needs a consultation with one of Hackney Migrant Centre’s lawyers who are on-hand today to give advice. She will also receive urgent help from Project 17, who advise families with “no recourse to public funds”, plus a voucher for the local foodbank. Finally, Rayah says she will see about giving Dee an emergency hardship grant of £20, to help her with the essentials of living, including getting the bus to see her children on the other side of London. This is followed by a moment of stillness, during which tears pool in her eyes; then she whispers “thank you”, gets up, and it’s on to the next client for Rayah. 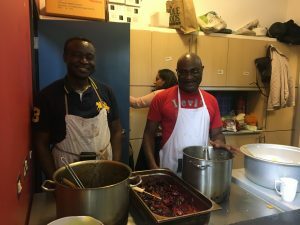 This year, London Catalyst gave Hackney Migrant Centre a Samaritan grant of £2,000 which they use as their hardship fund. They dip into it when somebody like Dee needs urgent help and is in absolute financial crisis. This happens quite regularly. The name of our fund is inspired by the Biblical story of the “good Samaritan”, who did not pass by on the other side when he saw a man who had been beaten up and left by the side of the road. Everyone who attends the drop-in is welcome to enjoy a nutritious free lunch which is served at 1pm. The shared ritual of eating together lends strength to the tangible feeling of warmth and welcome created at the centre. 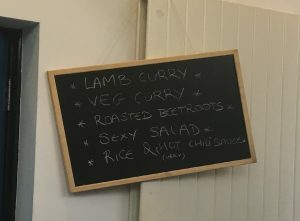 The kitchen chefs are mostly former service users, who came back to volunteer after receiving help from Hackney Migrant Centre. If you are a frontline advice or social work agency in London and you are interested in applying for a Samaritan grant yourself, you can read full details and access our online application form here or give us a call to discuss on 020 3828 4204. 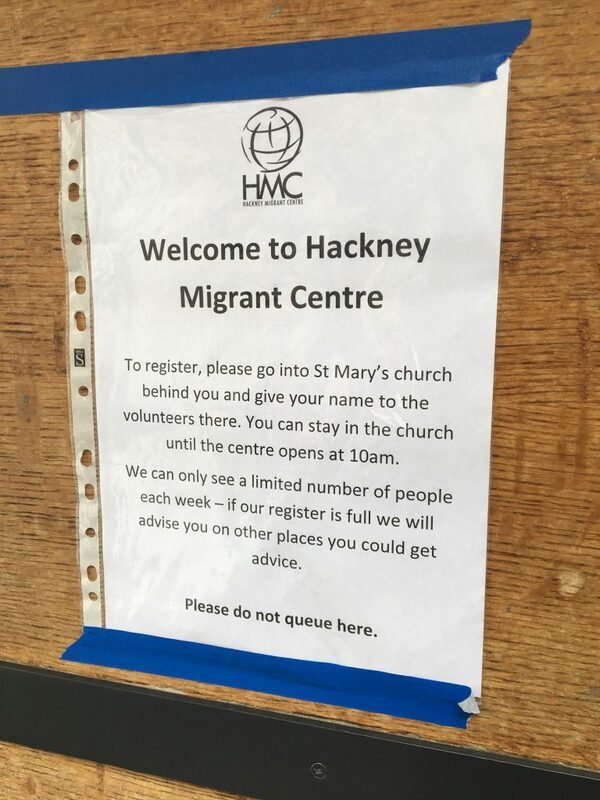 To learn more about Hackney Migrant Centre, visit their website.